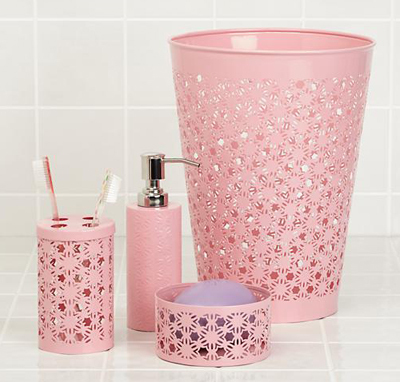 This charming Floral Bath Accessories Collection features a pink, cutout floral pattern. 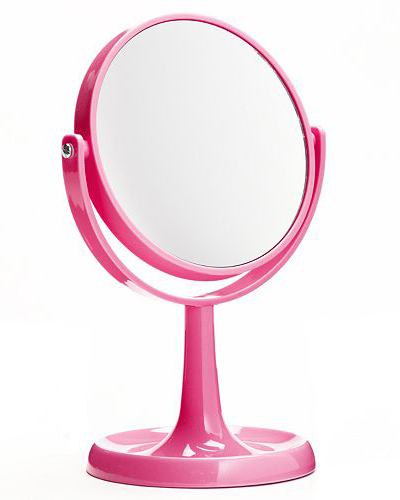 Made of iron, bottoms are covered in rubber felt to prevent scratches. $12.95-$30. Buy here. 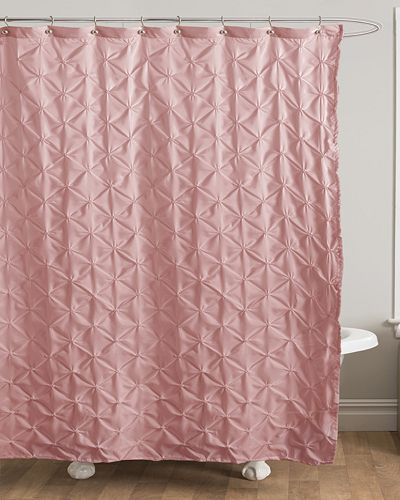 Wrap up in softness with the Threshold Textured Damask Bath Towel in Pink. 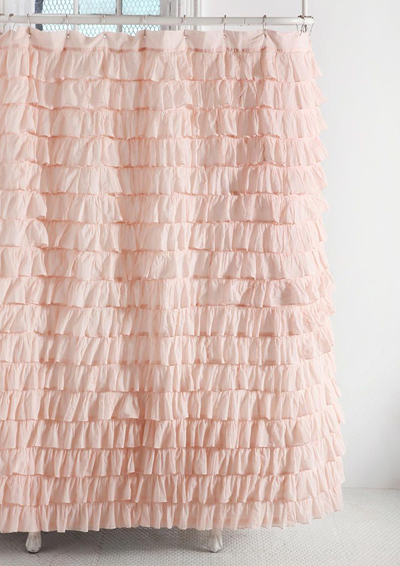 The 100% cotton construction with a visual and tactile texture absorbs water and feels as soft as can be. $9.99-$12.99. Buy here. 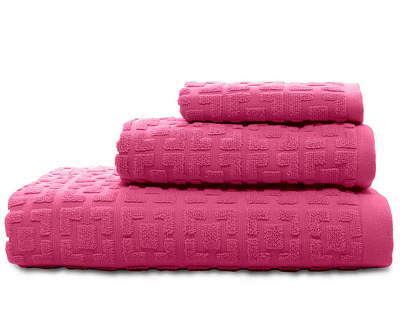 Wrap yourself in luxury with this Supersoft Plush 6-pc. 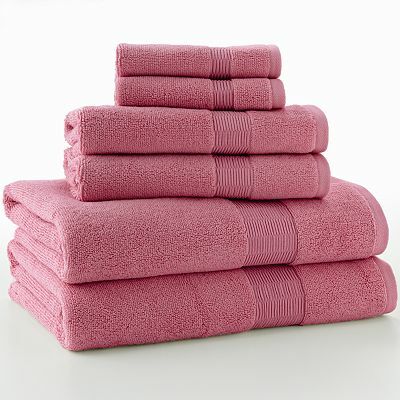 Bath Towel Set. 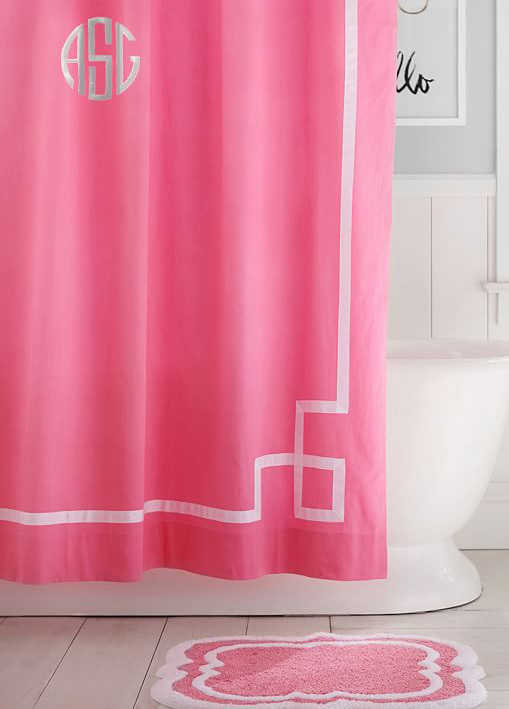 The ultra plush designs and modern dobby borders make it a superb addition to your bath or shower experience. $89.99 Sale $44.99. Buy here. 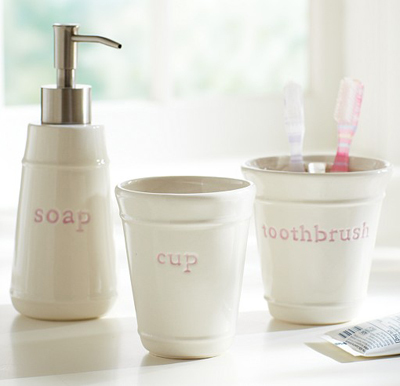 This Pink Bath Accessory Set is painted by hand and embossed with simple lettering. Expertly crafted of stoneware. $54. Buy here. 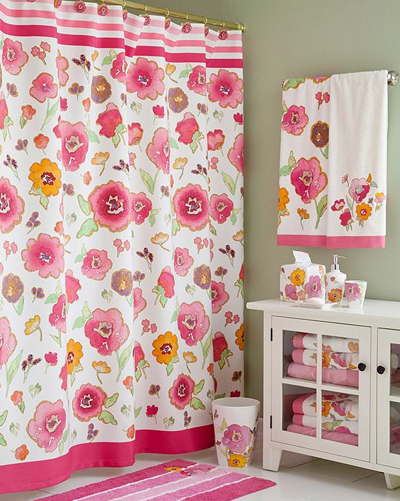 The charming Pink Wildflower Bath Collection gives you the beautiful look of wildflowers, with none of the seasonal allergies. 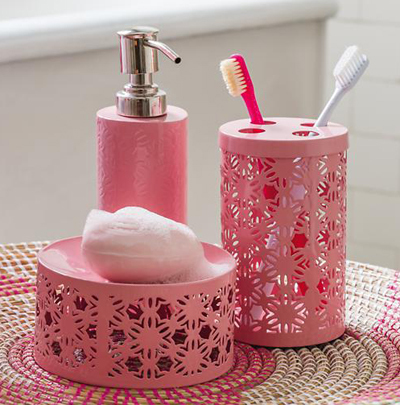 Items feature a pink, cutout floral pattern. $12.95-$30. Buy here. 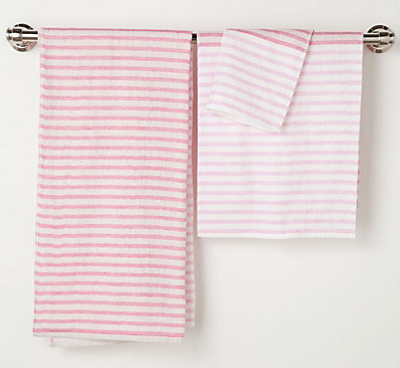 From Trina Turk, these hot pink Palm Spring Block Bath Towels feature a geometric pattern and ultra-soft and absorbent fabric. $10-$25. Buy here. 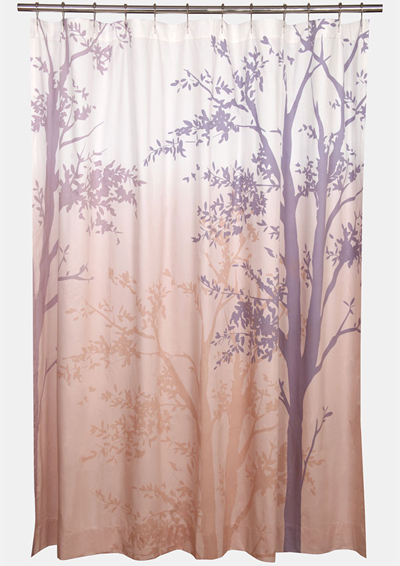 Japanese design company Morihata blends the best of both worlds into the luxuriously soft Morihata Ribbon Towel. One side boasts super-absorbent, fast-drying terrycloth, while the other is backed by finely blended Shankar 6 cotton, which is best known for its light-weight, eco-friendly qualities. $12-$68. Buy here. 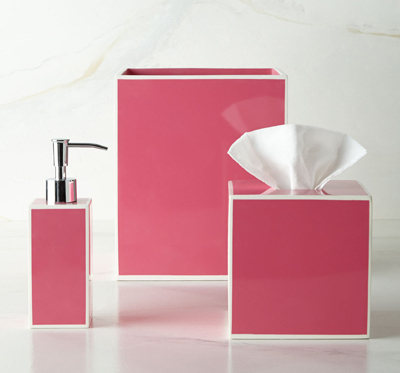 These sleek lacquer Kassatex “Soho” Vanity Accessories will add a vibrant pop of color to your bathroom. 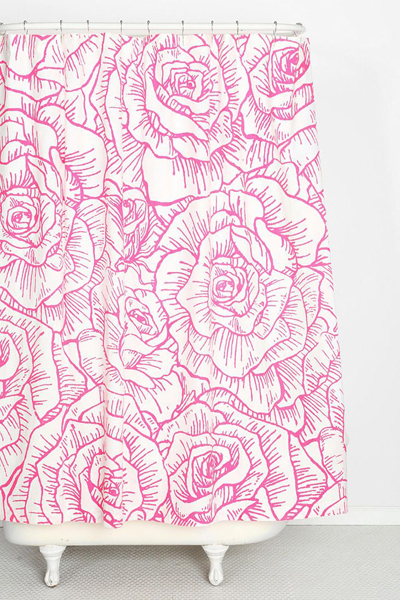 $22-$62 Sale $17.90-$49.90. Buy here. 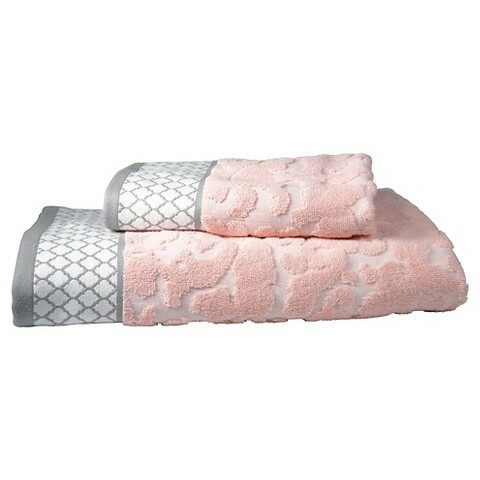 This matching Fiery Pink Towel Set includes a bath towel, hand towel and washcloth. 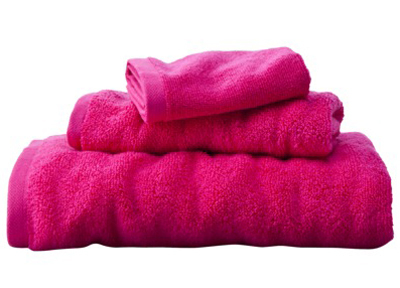 All 3 towels are made of soft 100% cotton. 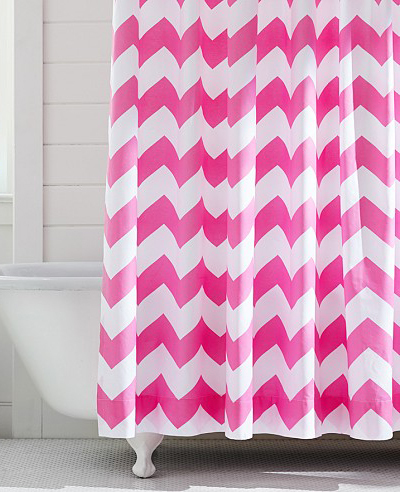 This vibrant pink color looks great as a contrasting pop of brightness to black and white bathrooms or looks great in any girlie-girl bathroom. $11.97. Buy here. 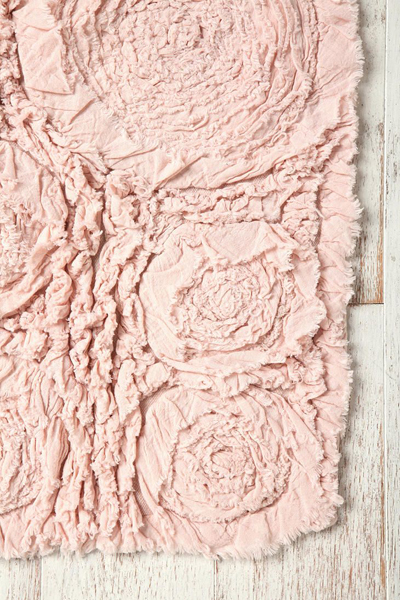 This Bed of Roses Bath Mat is a soft cotton bath mat with frayed fabric in a swirling rose design. 30″l, 20″w. $34. Buy here.